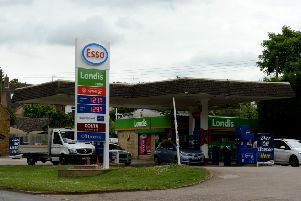 A public consultation held late last year by Simons Group revealed that 81 per cent of local residents were in favour of the proposals, which have now been submitted to West Oxfordshire District Council. The £6 million plans, which would see the northern section of the currently derelict Parker Knoll factory site on London Road regenerated, could bring over 50 new jobs to the town. Graeme Cosgrove, group director of development at Simons Group, said: “The feedback we’ve received has been overwhelmingly positive, and we’re delighted to say that 81 per cent of those who participated in our public consultation are in favour of our plans. Last month, developer McCarthy and Stone submitted a planning application to build specialist retirement housing on another part of the Parker Knoll site. The plans, include 59 assisted living apartments, with six retirement dwellings and eight bungalows for the over 55s.